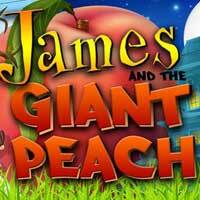 When a young orphan boards a giant peach with a band of friendly bugs, he sets out on an adventure across the sea in this original stage adaptation of Roald Dahl’s classic tale, James and the Giant Peach. This “pint-sized” production is perfect for young audiences, with a one-hour run time and interactive staging that will keep little critters engaged with its combination of live actors, film projection and sound effects. Come join Mrs. Glow Worm, Ms. Spider, Ladybug, Grasshopper, Earthworm and a boy named James as they face down dangers and celebrate friendship. This Creating Arts Company production at the Pico Playhouse in Los Angeles is perfect for children 3 and up.